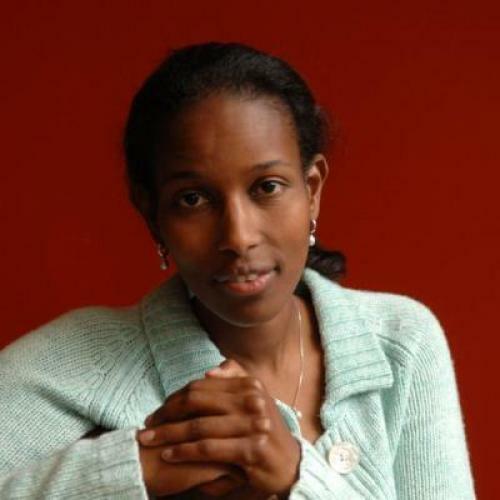 Ayaan Hirsi Ali is the young woman of Somali origin, the former member of the Dutch Parliament, whom Islamist groups condemned to death three years ago. On that day in November 2004 when Dutch filmmaker and provocateur Theo van Gogh was murdered, she was designated, in a letter pinned with a knife to the corpse, as the killers' next target. Since then she has been forced to live as did writer Salman Rushdie for many years: stalked, hunted, sleeping in a different place every night, never allowed to rest. For what crime was she sentenced to this martyrdom, this life lived on borrowed time? Because when she was an MP, she voted for a law to protect little girls from genital mutilation. Because she fought against the temptation to sectarianism that she, along with many others, believes is an insidious threat to democracy. Because she dared to speak out without taking the precautions imposed by the "culture of excuses"; to explain her rejection of this new version of fascism that we call radical Islamism. And because she had taken positions on "Islam as a doctrine" and its incompatibility with democracy, freedom, and equality: She believes that Islam must undergo a reformation if it is to become congruent with modernity. Her arguments of course provoked controversy, debate and criticism, but the fanatics interpreted them as the double blasphemy of incitement to apostasy--the supreme crime. In truth, Ayaan Hirsi Ali only invited us to reflect on the relationship between religion and state. In each case, she pleaded on behalf of the principle of the secular state, which she believes is one of the non-negotiable fundamentals established during the West's battles over democracy. She also reminded us of the inalienable right of all European citizens, inscribed in the European Union's Charter of Fundamental Rights: the right of disbelief. Except, alas, according to the tenets of Islam, this creates a problem. Except that, according to many interpretations of Islamic law, this is considered the most unpardonable of crimes. And except that the West in general and the Dutch public in particular reacted to this affair in a very strange way. There were embarrassed statements insinuating that there was little difference between the "agitator" and her putative assassin, whose identity had been "wounded." Her neighbors in her apartment building had her evicted; her colleagues in the Dutch Parliament pushed her to resign her post; the Dutch authorities called into question the legitimacy of the naturalization process she completed in 1997. And now, though she is weary of being humiliated and rejected, of always being careful to cover her tracks and make the killers' mission more difficult, she is trying to travel within Europe, to the United States and elsewhere, to continue her work as an intellectual pleading the cause of Muslim women. But a few months ago the Dutch government announced that its police force would no longer ensure her security if she steps outside the Netherlands (in contrast to Scotland Yard, whose detectives made it a point of honor to protect Salman Rushdie, wherever he might be). On Feb. 10, Ayaan Hirsi Ali will attend a meeting of supporters at the Ecole Normale Superieure in Paris. She was invited by various publications and associations--Charlie Hebdo, Liberation, ProChoix, la Regle du Jeu (I am executive editor of same) and SOS Racisme--that are not intimidated by Islamist provocations or the warnings issued by those who espouse the policy of appeasement. The following day, she will be awarded the Prix Simone de Beauvoir in honor of her spirited resistance to all forms of oppression. France will soon assume the presidency of the European Union and will play a decisive role in this affair. Last year, in his speech accepting the presidency, Nicolas Sarkozy declared that "Everyone who has been persecuted by tyranny, dictatorship ... (and especially) all of the women around the world who have been martyred, France's pride and sense of duty are on your side." Clearly he must be affected by this heroine's battle for human rights and Enlightenment. I hope he will meet this great woman and use his authority to make sure that she has the inalienable right, as do all European citizens, to come and go as she pleases and to speak in complete safety.